Come check out our FIRST EVER BIKING FUNDRAISER! Southwest Rides is a social-purpose business subsidiary of Urban Neighborhood Initiatives, a non-profit 501(c)3. We work hard to meet the transportation needs of youth and adults in Southwest Detroit through bicycle and skateboard retail, youth apprenticeships, Earn A Bike programs and much more. 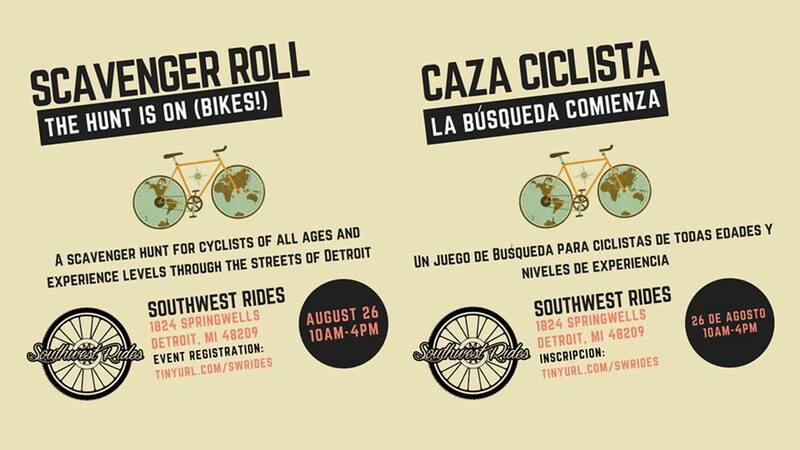 Our goal is to be a down to earth bike and skateboard shop that positively influences youth and Southwest Detroit. To learn more about what we do, check out the links on our website. I was wondering if you are still accepting bike donations. I see that you received quite a few from Dearborn PD so you might be filled to capacity. I have two old bikes that could be fun for someone. Just need to be freshened up. We are always accepting donations. Bring them on by and thank you! I have 3 child bikes and a tricycle. Would you like them this week? We have two pretty good times…happy to donate. Please reply and let us know how to get them to you. We just got back into the shop in the New Year after our break. We are around Mon, Wed and Saturday 12-6pm if you could drop any donations off. Thanks!